With weakening bones and failing joints becoming more prevalent every day inside care homes, it's critical that appropriate support is provided in the event of injury or in the case of age related wear and tear. The light support Care Shop provides is detailed in the listings below. Just click on the product that interests you, and you'll be transported to a page detailing the product, the price, and providing the means by which the dressing can be added to your shopping basket. It really couldn't be easier! 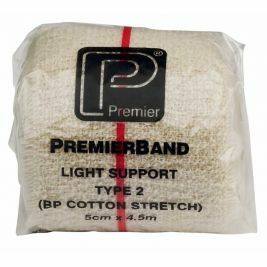 The light dressings we provide include open weave bandages from 2.5cm to 7.5cm, and light support bandages ranging from 5cm in width to 15cm. At Care Shop, we realise that the elderly often have a much more compromised immune system than younger members of society, so to this end we provide sterile dressings designed to cover the wound, all with guaranteed sterility until the packet is opened. 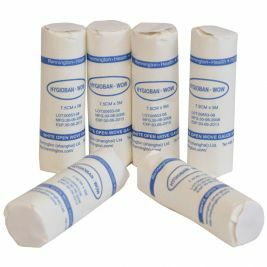 Since sterile bandages and support dressings are more expensive than their non-sterile counterparts, we also supply non-sterile versions of all of our bandages to allow those care homes on a tight budget to provide support to patients lacking open wounds or abrasions without using up expensive sterile equipment. Light Support There are 11 products.